An unbeatable mythological horror has its sights set on Elana, and that's not the worst of her problems. 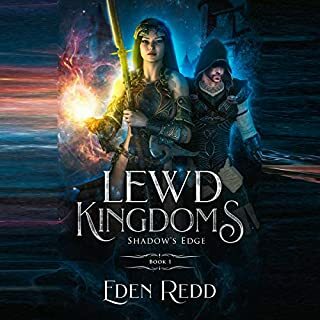 Gods want to use her, shadowy agents want to eliminate her, and a powerful sorcerer wants to kill her; all as she rushes to stop an event that portends the death of her best friend, Olivia. It's all catching up with her, and just in time for Christmas. Elana is going to have to figure out how all of it is connected but she's in over her head, outnumbered, and running out of time. And she always thought magic would make her life easier. A Killer Sequel that Stands on Its Own! Elana Black has the power to make herself fictional. But when she decides to start saving all the people in books and TV shows who die just for the sake of advancing the plot, she quickly learns that she's not the only one with her powers. All Elana wants to do is save people. But these others don't want the stories to change, and they'll do everything they can to stop her. If you had the power to change fate...to create a happy ending where there wasn't one before...would you do it if it meant risking your own? 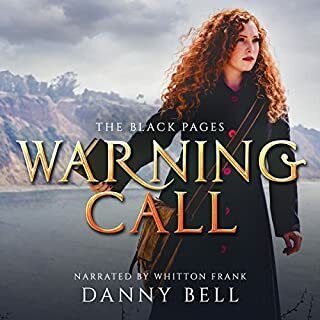 I thought Whitton Frank's energetic, youthful, and engaging narration was a good match for author Danny Bell's quirky yet grounded (and delightfully flawed) protagonist. The world building of Empty Threat is a nod to book lovers. Are you an introvert who prefers books over people? Ok maybe you don't have to be that extreme... but do you get lost in a story, or ever imagine living with fictional people? Empty Threat takes an old sci-fi idea and gives it a new twist. The concept of jumping into books to save characters who normally die will make you really consider your own morality. What is right here? Preserving literary works, or using your powers to help others? This is a great start to a new series; and, a refreshingly new take on the genre. It's full of magic, action and adventure. Once you start, you won't be able to put it down! The narrator did an excellent job. There are numerous characters and each had a distinct voice. I received a free review copy and voluntarily left this review. A Unique,one of a kind novel - a must read! Would you listen to Empty Threat again? Why? What other book might you compare Empty Threat to and why? Which character – as performed by Whitton A. Frank – was your favorite? Right when we found out her talent. An endless opportunity of stories. There's so many wonderful things to say about this novel I don't know where to start. The overall concept is brilliant, with an endless source of new exciting new worlds to explore, keeping the reader forever off balance. I must also add this is some of the best character development work I've ever seen. It might be because I read the audiobook and the voices of the narrator really bring the people alive. The main characters are so real you feel like you could pinch them, and the sinister ones - oh my! They make you skin crawl! Never predictable, never dull, this a must read. Spoiler Warning: I tend to play fast and loose with book spoilers, but I try to keep things as vague as possible. Have you ever wondered what happened to the miscellaneous characters in fiction? The buddy who dies just to prove how tough the bad guy is- the barber who gets robbed during a superhero's origin story. The various no-names who get devoured in the latest episodes of &quot;The Walking Dead&quot; while Rick Grimes gets to look sad about people dying under his watch? Probably not. I certainly didn't, until I read this book, that is. &quot;Empty Threat&quot; is a story that analyzes fiction through the lens of someone who is able to travel into fiction- Alanna Black. &quot;Empty Threat&quot; does a great job of looking at your typical fantasy novel- and offering a new perspective on things. Things that you would expect to happen, don't (no romance, whaaaaaat? Alanna is defined by her actions and not who she's in love with!?!?) and things that you wouldn't expect to happen, happen in extraordinary ways. &quot;Empty Threat&quot; is certainly not a perfect book, but the novelty of it is so refereshing that it's good to see this sort of take on fantasy literature. I'm most definitely going to be looking forward to the sequel- and giving copies of this as presents to some of my friends and family. Creative and enjoyable story can't wait to see more from the author! It's great to have a female protagonist and a relatable origin story. Danny does a wonderful job of giving life to a relatable, strong, female main character, which is a breath of fresh air in a genre where men tend to lead. To anyone who's ever found themselves lost in a book, her adventures will seem like an all too possible occurrence, which some of us may wish we had but that is not without consequence. 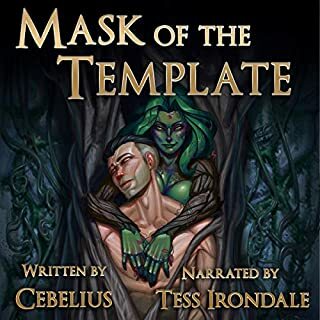 The decision to nake the voice actor for the book female as well is lovely, and she does an excellent job of bringing life to the characters and scenes. When is fiction not really fiction? Danny Bell weaves an interesting tale of a woman basically floating through life who has a special ability that she uses to escape. That ability comes back to haunt her when she learns that she is not truly unique in her ability, and she has broken many unwritten laws by using them. 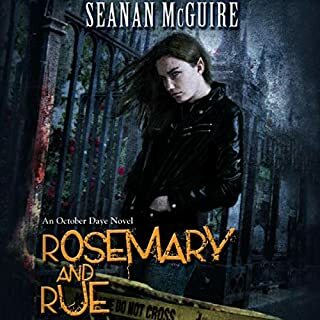 Follow Elana Black through the fictional and real world as she learns what she is capable of and what kind of consequences her abilities can have on everything and everyone around her. This is a unique tale of magic, belief and worlds colliding. I for one cannot wait to read the next book in line. This book was given to me for free at my request and I provided this voluntary review. 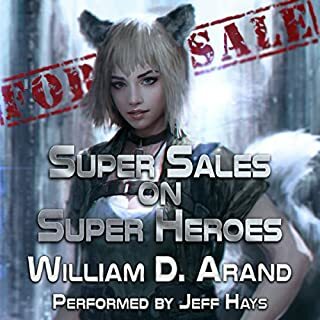 To start off, I normally don't listen to audiobooks because I have the attention span of a squirrel, and start to tune out the story. However, the moment Whitton started reading, I knew this would not be the case. Her voice is engaging, her inflections and accents are incredible, and she is exactly what I would imagine Elana's voice to sound like. Empty Threat is written in a detailed, interesting, and at times, hilarious way to keep readers of all ages, from young adults to the elderly, invested an wanting (more like demanding) to know what happens next. I laughed, I cried, I almost punched a wall at one point. This story has it all. Elana is an extremely easy to relate to, with quirks and flaws that most can identify with. Danny Bell's use of imagery, humor, and overall character development will leave every reader and listener wanting more. I am SUPER excited to see where Elana's journey takes her, and how the world will react to the choices and decisions she will ultimately have to make. Anything is possible with this series, and the sky is the limit. I can't WAIT for the next book!!! A new series I will have to follow! I like this book a lot it reminds me of my early love of comic book hero's who discover there power only to find someone ready to kill them for it. The idea is a great one for readers who go deep into there books. 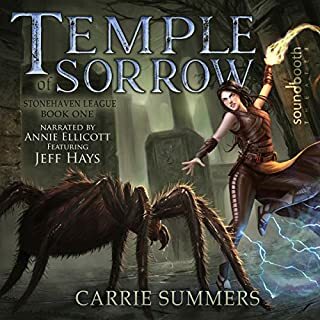 The audio version is great the reader captures the young womans excitement and horror all at the same time. I will happily look forward to the next story. 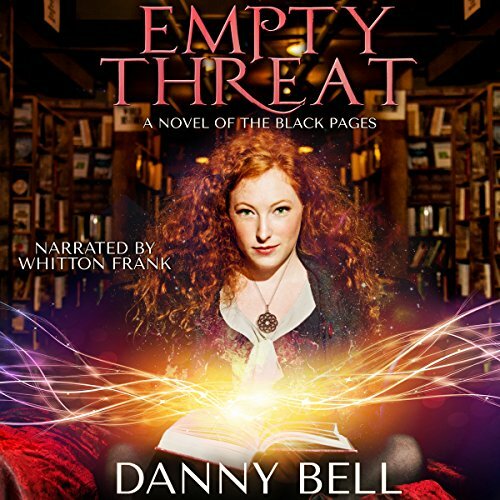 Empty threat is a fantastical story about Elena Black who is able to put herself into books and movies and 'become' part of that world as it were. But when she tries to change the outcomes or the plotlines because she believes that the characters in the stories are actually not fictional but living their own real lives, things start to get messy and others don't want her to change the outcomes. Whitton's performance is fantastic, I love the clarity in her voice and I would certainly listen to more of her work. Fantastic job. Fantastic. Was sad to finish. Not normally my sort of thing but came highly recommended. Compelling listening that kept me up more than once. Very much enjoyed the narration of Whitton Frank and will be searching out her other work. Wonderfully read.